If you have noticed a drop in water level in your Mitsubishi L200 (K74 – 4D56 engine) cooling system then there are obvious checks you should make to track down where it’s going. 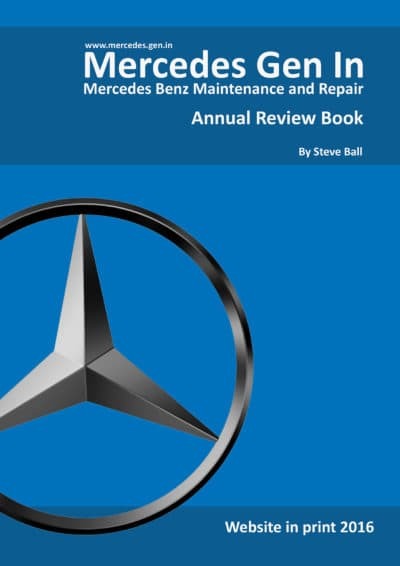 One particular achilles heel of the L200 cooling system is the small rubber bypass hose that routes coolant from the turbo (exhaust manifold side) round the back of the cylinder head to the front top hose casting of the engine on the opposite side. 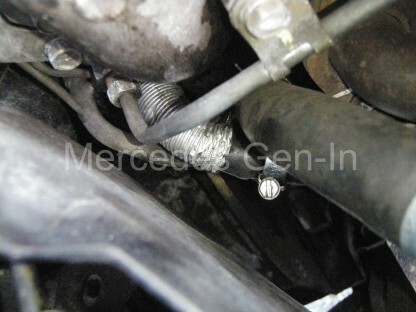 There is an 8mm small bore steel pipe that runs behind the cylinder head that connects the two points. Two flexible rubber hoses couple the steel pipe at either end. One coupling roughly behind the injector pump diesel pipes and the other below the exhaust manifold at the rear of the engine, turbo side. 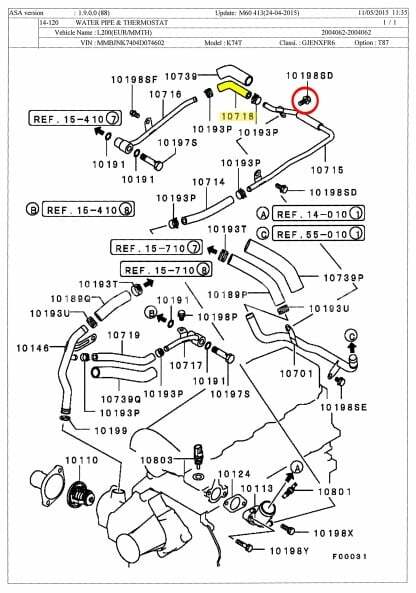 The commonly failing hose is the rearmost one on the left hand side looking in (Highlighted in Yellow above – part number 10718.) Failing because of the extreme heat range it encounters in normal use. It is jacketed in a ‘corrugated aluminium’ heat shield hose covering, that frankly makes an almost impossible job to replace this hose, even worse. Remove the intercooler and associated pipework. Disconnect its fan and pressure sensor and place it safely away from the vehicle. Remove the turbo heat shield, 10mm pins on the bulkhead and one behind the air filter housing. 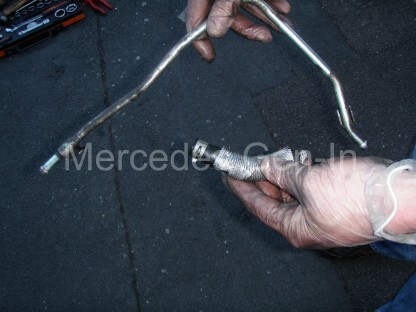 Using a 12mm ring spanner undo the pipe fixing pin at the rear of the head (Left hand side) This single pin ties both the water pipe and vacuum hoses to the aluminium cylinder head. The pin is on the back of the head NOT at the side, there are two 12mm pins visible on some brackets holding the vac hoses and engine lifting eye (LHS) – these are not the ones you want- sorry! (The part you need to undo is highlighted in the red circle in the diagram above – part number 10198SD.) You will find access is virtually impossible to the pin you need as you have about an inch and a half gap in which to work, pushed up against the bulkhead. You will eventually be able to get the spanner on from the right hand side of the head (spanner horizontal) onto the head of the pin and pushing it downwards toward the bell housing, one eighth of a turn at a time, until you can work it out with your finger tips. Now undo the hose clip on the right hand side of the engine (mid-way along the rocker cover line) and remove the second 12mm pin from the head, securing the final pipe bracket. This end of the pipe will now be free. Reaching down behind the turbo/cylinder head undo the hose clip you can see and push the rubber pipe off the turbo cooling spigot with a screwdriver. 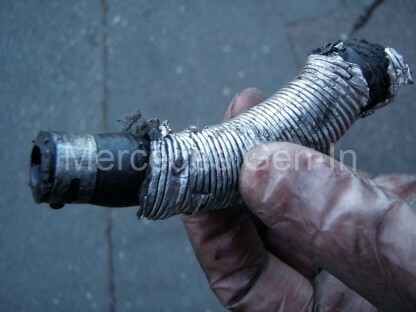 Slide off the aluminium corrugated heat shield from the pipe and use pliers to release the spring hose clip from the pipe end. Pull off the rubber hose completely. Obtain a new hose, commonly available from Mitsubishi for about £4.00 (Part numbers on the diagram above) treat yourself to new spring hose clips too, as this will make the job easier and more certain to give a good seal on the hose to pipe connections – you do not want to do this job twice! The best thing I found is to place some rolled up carpet onto the engine and climb in/on the block to gain access, you will bruise your shins during the operation, almost certainly. Push the new hose onto the exposed pipe at the back of the head and fit a new spring clip. A little spit on the pipe will enable it to slide on more easily in the confined space. Now feed back the steel pipe a couple of inches and push on the hose clip before fitting the other end of the hose to the remaining spigot. Manipulating a short pair of pliers, spring the final clip home and seal the hose against the pipe. The steel pipe will now be in the correct position to remake the opposite side with its 12mm pin and hose/clip connection. At this point you are welcome to refit the 12mm pin behind the head to secure the pipe or have the option of using two or three of nylon tie wraps to make good the pipe fixing (Only to stop any vibration as the pipe is still well fixed at both ends.) I am guessing that you will choose the latter option having got this far, but I never fail to be surprised by other peoples perseverance over and above my own. 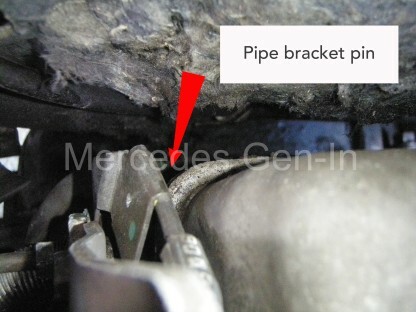 Using side cutters split the hose’s aluminium heat shield, and work it over the bare rubber hose protecting the pipe once more as best it can from manifold heat. You may be able to slide it over the hose before refitting the final hose clip but I found it hampers the operation somewhat and it fits just as well after the event. Again securing it with a couple of ties (though it didn’t really need it) if needed. Replace the heat shield, intercooler and other parts previously removed and fill the vehicle with coolant. Start and warm the engine with the cab heater on full to remove as much trapped air in the upper block as possible, expect the water level to drop once the thermostat has opened and water begins to circulate through the whole engine. Recheck your work for leaks and top up the radiator and expansion bottle to the correct levels. Satisfied you have done a good job, you may relax with an ice pack on the back of your hands and shins! Who said a 4 inch hose would be a quick and easy job…! Spot on thanks. Managed to do it without removing bolt and bracket at rear. What a fiddly job.